Grand Daisy Press, 9780996284325, 228pp. Can a broken heart be mended? 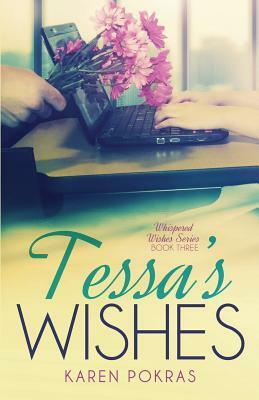 Tessa Haines never imagined she'd be a single mom at the age of twenty-two. Jilted at the altar by her college boyfriend, she has no choice but to drop her dreams of a career in the theater for a more lucrative job in finance. Between working overtime for her unappreciative and over-demanding boss and taking care of her daughter, Tessa has no time for a social life. Nor is she anxious to have one. Men can't be trusted. Period. However, when Todd Mitchell, the handsome assistant of one of her wealthy clients comes to her office, she begins to have second thoughts. Is it safe to let Todd into her heart, or will her heart and wishes be broken once again?